Don't miss out! 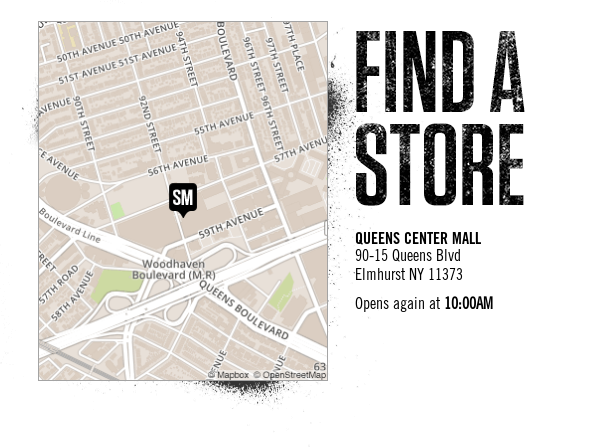 Add stevemadden@e.stevemadden.com to your address book to receive our emails. Shipping Promo:Receive Free Two-Day Shipping on orders over $50 with code FREE2SHIP at checkout. Free Shipping offer does not apply to clearance items, preorders or gift cards. Free Shipping promotions are only valid for shipping addresses in the United States excluding Alaska, Hawaii, US Virgin Islands, Puerto Rico, Guam, military and air force bases. Two-day shipping orders must be submitted by 1PM EST in order to ship out the same day. Orders placed after 1PM EST on Friday through the weekend will ship on Monday. Promotions are not valid for cash or cash equivalent and cannot be applied to previous purchases nor combined with any other offers or discounts including Steve Madden employee discount. Qualifying amount applies to merchandise only, excluding Gift Cards purchased, packaging, applicable taxes and shipping and handling charges. Returns and exchanges are subject to Steve Madden's return policy. Offer is non-transferable. Steve Madden has the right to cancel this promotion at any time. 2005-2018 Steve Madden. All rights reserved. It’s here! Catch our '90s collab with Urban Outfitters. This spring essential is on everyone’s list.